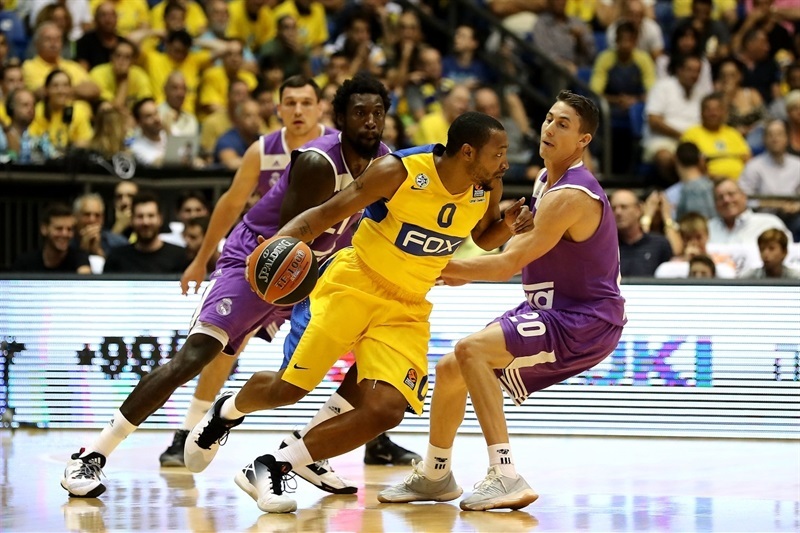 In a classic showdown between Turkish Airlines EuroLeague powerhouses, Real Madrid bested Maccabi FOX Tel Aviv 82-89 at Menora Mivtachim Arena on Thursday. 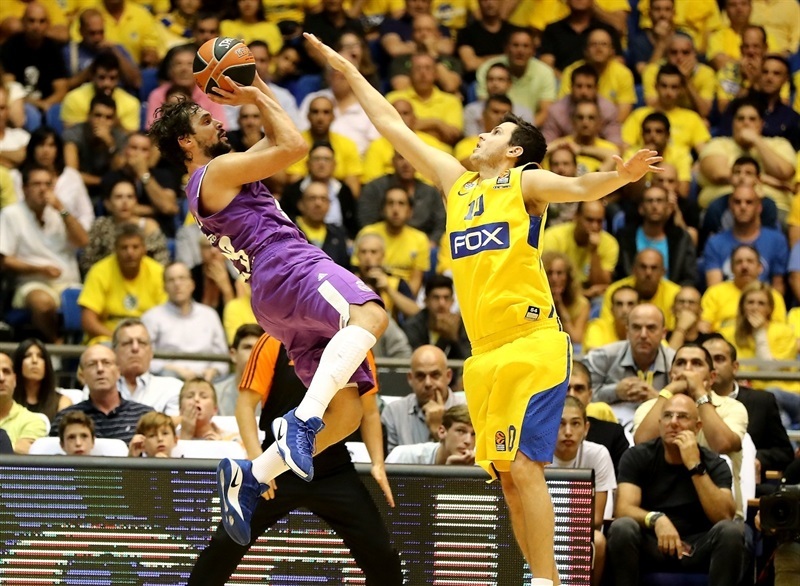 Madrid improved to 2-0, while Maccabi dropped to 0-2. 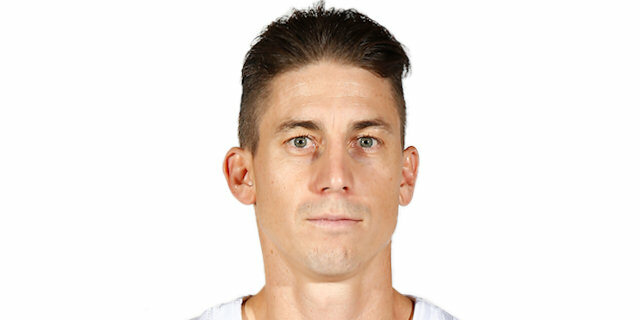 Jaycee Carroll led the winners with 18 points on 5-of-8 three-point shooting. 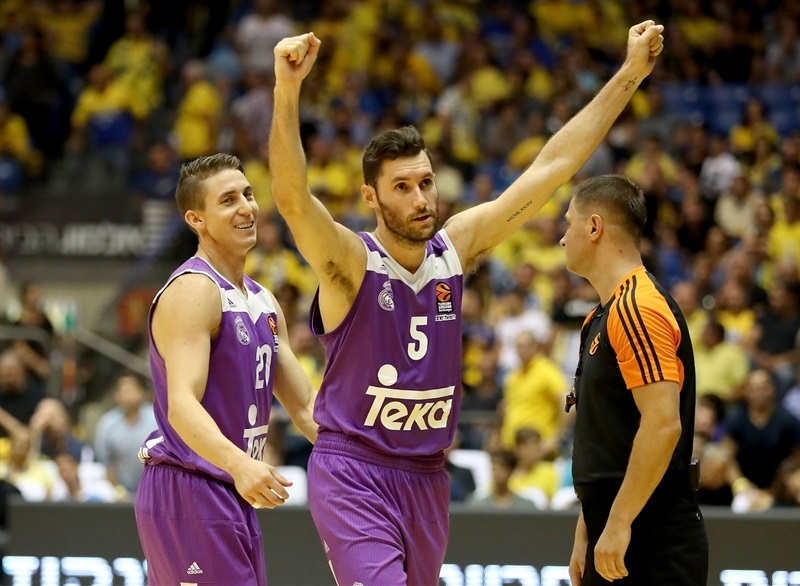 Rudy Fernandez added 16 points, while Sergio Llull had 14 points and 11 assists for Madrid. 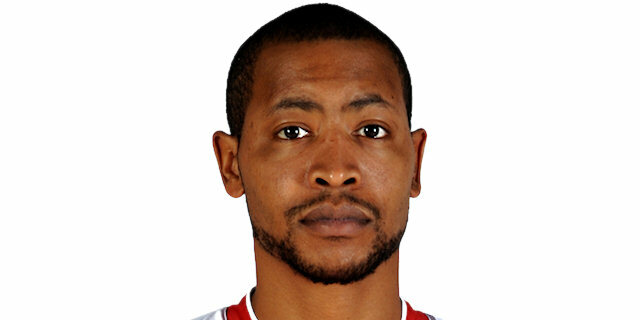 Victor Rudd led Maccabi with 18 points, Andrew Goudelock added 16, Sonny Weems 15 and Colton Iverson and D.J. Seeley each got 10 for the hosts. 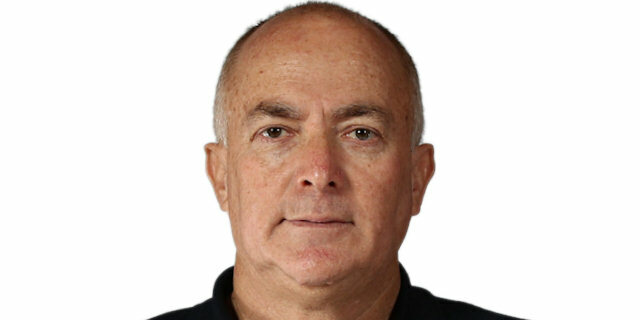 Maccabi will look for its first win of the EuroLeague season against Galatasaray Odeabank Istanbul at home on Wednesday. 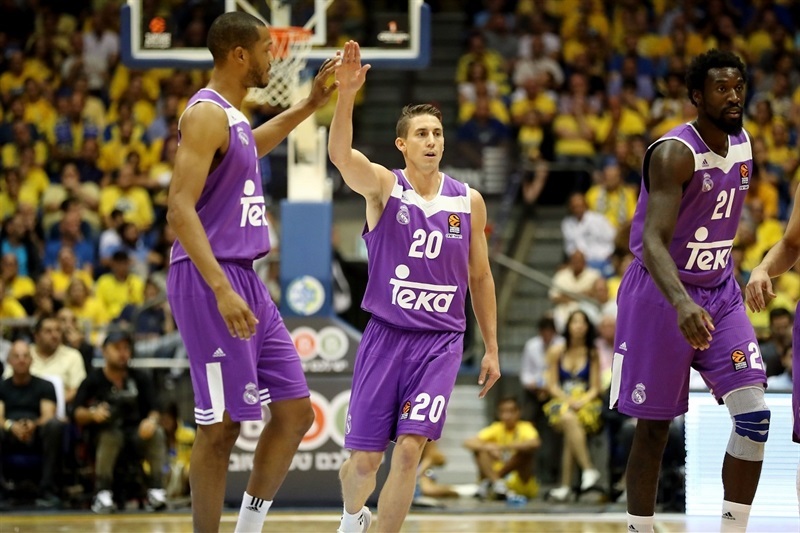 Real Madrid also plays at home in Round 3, hosting Baskonia Vitoria Gasteiz. Madrid got its big men involved right away, as Trey Thompkins and Gustavo Ayon gave their team to get an early 6-12 lead. 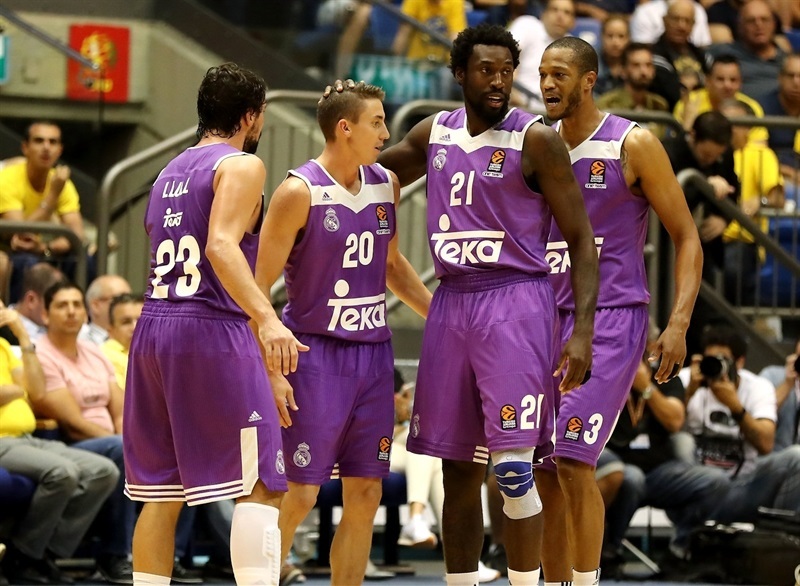 Devin Smith struck from downtown, but back-to-back baskets by Llull kept Madrid way ahead. 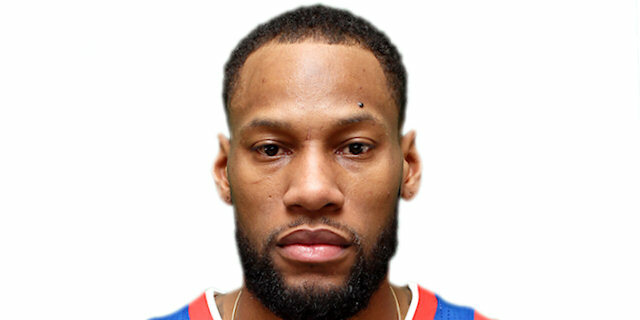 A put-back basket by Weems and a wild three-point play by Goudelock brought Maccabi within 16-20 after 10 minutes. Madrid stayed in control as Jonas Maciulis followed an easy basket with a tip-in and another triple by Carroll broke the game open at 23-37. A buzzer-beating three-pointer by Fernandez fixed the halftime score at 33-46. 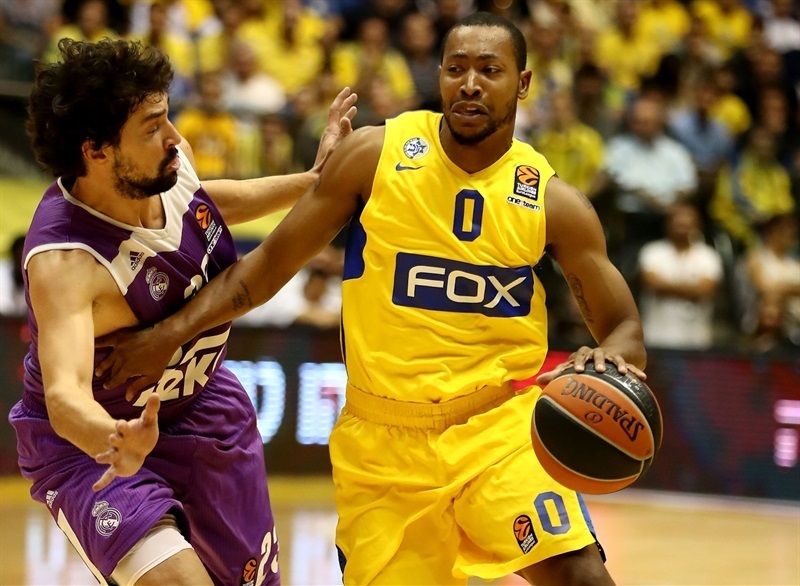 Maccabi improved its defense after the break as Rudd, Weems and D.J. Seeley each struck from downtown to tie the game at 46-46. An unstoppable Rudd capped a 16-0 Maccabi run with a jumper for a 49-46 lead. Felipe Reyes rescued Madrid with a four-point play and Fernandez followed a fallaway jumper with a triple to restore a 52-55 lead. Fernandez gave the visitors a 57-62 edge after 30 minutes. 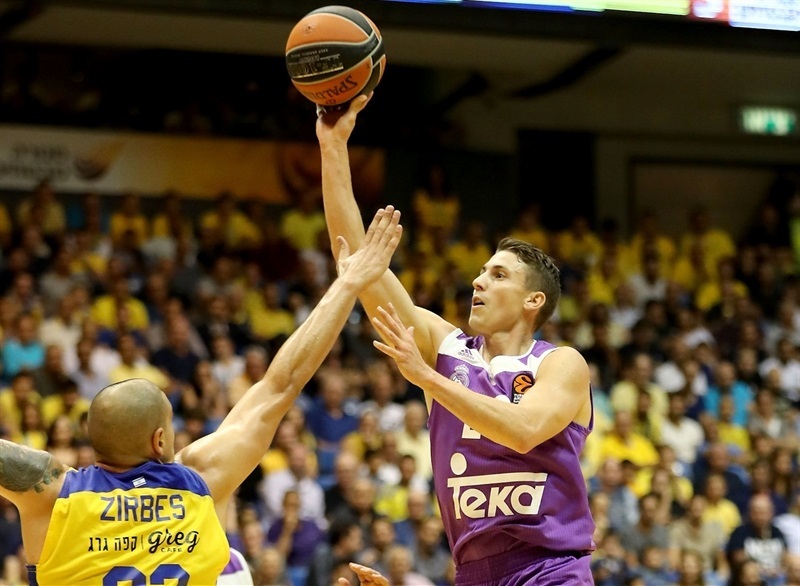 Three-pointers by Fernandez and Carroll kept Madrid ahead, 65-70, with 7 minutes left. Anthony Randolph, who had been scoreless until then, followed a jumper with a three-point play and Llull made it a double-digit game, 69-79. 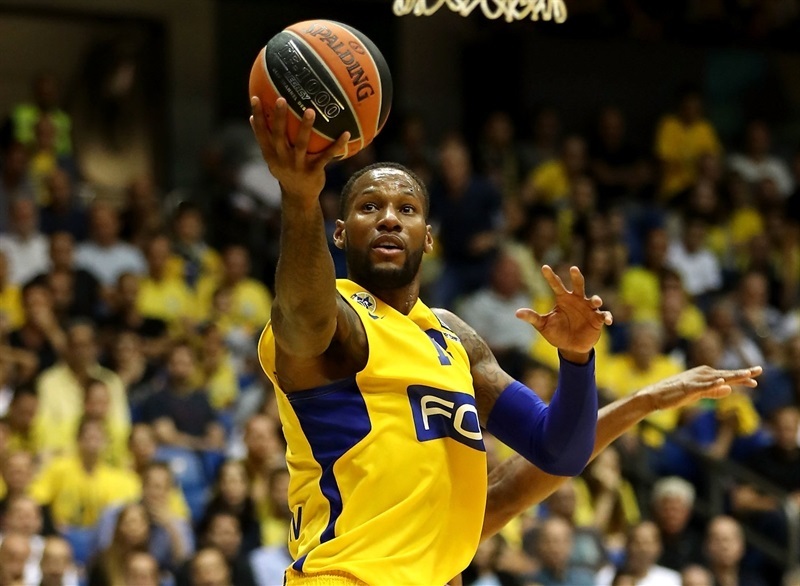 Carroll seemed to seal the outcome with a wild four-point play, 71-83, but Rudd and an unstoppable Goudelock brought Maccabi as close as 82-85 with 28 seconds left. 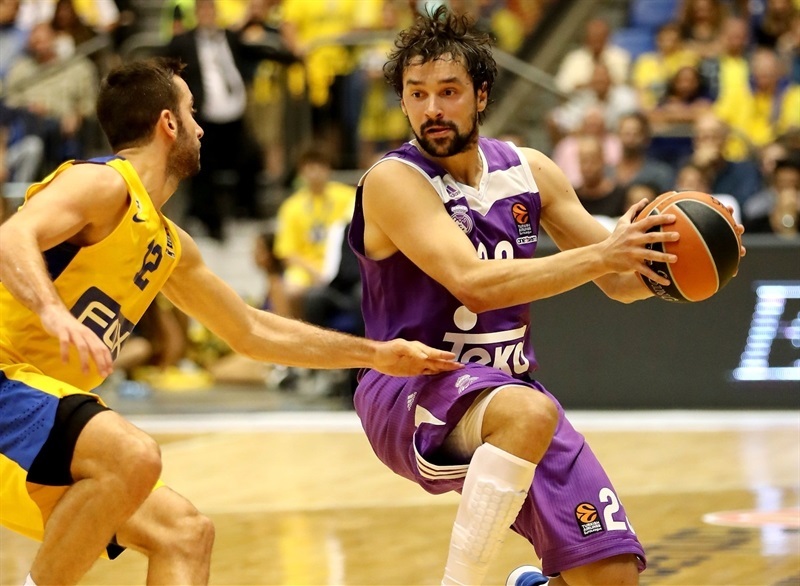 Llull drew a foul and calmly made free throws to ice the road win. "The game was characterized by two very different halves. At least we managed to solve some of our problems in the second half. But that’s not enough against Real Madrid. You can’t give them a double-digit advantage and then chase after them; at a certain point that effort is too great. This is a game that we can take a lot from, good things, bad things and things to learn. [In the third quarter] I think we managed to solve our defensive rebounding problem that plagued us in the first half and then it was easier to run, score some easy baskets and when you score easy baskets, you get confidence. And then you can play as equals against any team. " "Our first half was excellent. We carried our game plan out completely and in my opinion, we should have been up by more than 13. We made some mistakes in the third quarter that got them back, but I'm glad we got our composure back in the fourth quarter. Maccabi is 0-2 and could easily have been 2-0. I wish them luck." "I am very happy for the victory. Very happy for our first half and our fourth quarter. In the third quarter, I think we didn't come out as ready as we were in the first half. We took bad shots, didn't play solid defense and had turnovers. They came back in the game and we knew they have a lot of points in their hands. When they play with that kind of rhythm, it is a very hard team to beat. We were able to come back, I think our rotation helped us a lot and I am happy that we got this victory. I think that we knew today that it was going to be a game in which we needed to move the ball. If the rhythm was up and down, Maccabi would be alive. We needed to make them work and when we didn't do it, we struggled. Sometimes we didn't run, but we were able to play with good rhythm offensively, with more passes, finding the open man. I think [Jaycee] Carroll did a great job on getting open and guys set good screens for him. After that, either he shot or continued. I am happy because we played at a different rhythm, but scored 89 points and won an important game in this EuroLeague." "The second half was clearly better, but our defense is still not good. We want to win, I want to win, but we can't do that with defense like this." "I feel like we're at the same level as these teams. We came back in a very encouraging way in the third quarter and I'm just sad it wasn't enough. There's a long season ahead of us, and if we keep playing like this and fighting together, we'll be alright." "We played in a tough court against a tough opponent like Maccabi, but I think the team did a good job other than at the start of the third quarter, when we struggled a lot and they erased the lead we had. We were able to return to the game and play well in the final minute. We are happy with this important win." "It is an interesting stat [every time Carroll scores in double digits against Maccabi, Madrid wins] and something that everyone should keep in mind, but overall I think I was ready to play from the beginning of the game. Our first five started on defense extremely well and the first half was a game of defense, we played really well. The second half was completely different - offense! We couldn't hardly stop them and then we got hot. It was a good game overall in a very tough place to play and we are just happy to get out with a win. I think it definitely helps, the depth that we have. 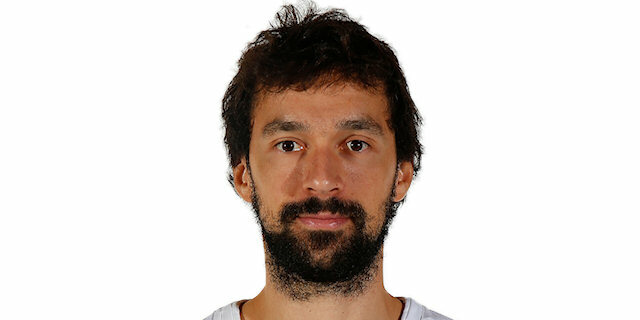 We just gave to rotate in very good players with loads of EuroLeague experience coming off the bench. In tough environments like this, in important games, in important moments, I think it helps us."